Cross-curricular integration throughout the program with reading and writing strategies in every lesson, as well as Connect To activities and Standardized Test Practice that provides links to math, science and social studies. Activities-based program with emphasis on health skills, avoiding risk behaviors, and promoting health literacy. The latest technology including podcasts, activities for handheld devices, videos, online student edition, StudentWorks Plus, and TeacherWorks Plus. Partnership with POLAR Electro Inc. provides state-of-the-art activities booklet and give you the opportunity to receive discounts on heart rate monitors. 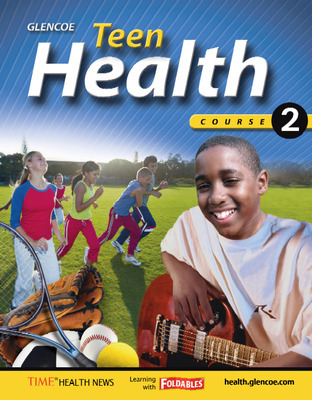 The seventh grade book in Glencoe and Macmillan/McGraw-Hill's K-12 health program along with Glencoe Health (high school), Teen Health Courses 1 and 3 (grades 6 and 8) and Health & Wellness K-5 (elementary school). Activities based program with emphasis on health skills, avoiding risk behaviors, and promoting health literacy.